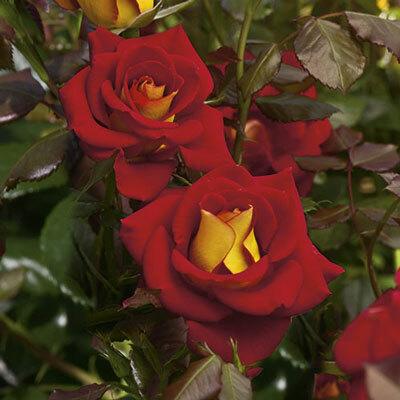 Slap a layer of the brightest red onto a backside of darkest yellow & set it atop the greeniest glossiest leaves. Better yet, the flowers hold on to their attention-getting tones to the very end…dropping from the well-behaved rounded plant just in time to welcome the next round of abundant bloom. Tidy enough to tuck into a landscape, lend an accent to a container or top a rose tree. No buns or weenies required. Best flower size in cooler conditions. Bold & beautiful!